I thought it would be helpful to create a page with a list of resources. These are companies, products or services I have personally used and recommend. These resources cover the same areas I blog about: wellness, home, garden and money. Disclaimer: Some links below are affiliate links, meaning I will earn a small commission if you make a purchase via those links. I stand by these companies and tools as I have personally used them with success. The following are websites and resources I use every day to save money. Ebates – This website is free to join and offers users cash back on purchases they would normally make online anyway. Ebates partners with online retailers to offer specials, coupon codes and discounts. No gimmicks. The great thing about Ebates is it works with almost any type of purchase. I’ve used Ebates to save on my weekly Target run, to save on hotel bookings and airfare, to save on purchasing contact lenses and even a new computer! If you sign up through my link for a free Ebates account, you will receive a $10 cash bonus from Ebates. All you have to do is sign up and then make a purchase of at least $25 over the next 90 days. Full Ebates review. 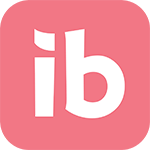 Ibotta– This is one of the most popular and well-known cash back apps. Ibotta will offer you a cash back bonus on your purchases from food and household items to even some online purchases. Ibotta has been around for several years so their rebates are pretty robust and a lot of stores are covered. The great thing about Ibotta is unlike some apps you receive actual cash so you can use that money to pay off debt, save or spend however you like! Checkout 51– If Ibotta was of interest to you, also be sure to check out Checkout 51! This is an app you download on your smartphone. When you make purchases for food and household items, you show proof of purchase to Checkout 51 and you can receive cash back on those items! It might only be a 50-cents but the money adds up over time. 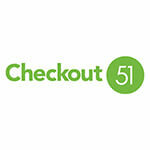 If you are already shopping for household items and enjoy saving money, Checkout 51 is a no brainer. 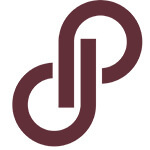 Poshmark– I discovered Poshmark in 2017 at the urging of a friend. She knew I loved secondhand shopping and thought I would enjoy the app. Poshmark is like an online secondhand clothing store. The platform started as an app but it can also be accessed via desktop or laptop. Users take photos of clothing and list the items for sale. The clothing is usually secondhand but you can also find brand new with tags items on Poshmark. The clothing is deep discount from retail prices. Poshmark users have different goals but common goals include selling clothing they do not need. Earn $5 toward your next purchase when you join Poshmark and enter invite code HFHAMMERS when you sign up! Clothes Mentor– Clothes Mentor is one of my favorite places to shop for high-quality secondhand clothing. From dress clothing to jeans, shoes, outerwear and athletic wear, Clothes Mentor has it all. 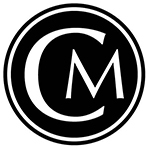 They carry mall brands to the top designer brands. Best of all, the clothing has already been checked for flaws and the prices are affordable. Clothes Mentor operates many locations nationwide. Those locations also hold sales which means you can save even more on high-quality, on trend secondhand clothing and accessories! Sign up for the Clothes Mentor email list today and receive a $10 off your first purchase! The following are my favorite resources for the home. Ball Canning – What do I do with all the fruits and vegetables I grow? Whatever I can’t eat while fresh is canned. I started with the Ball Home Canning Discovery Kit. I also purchased some low-sugar aka no-sugar pectin and a 60-pack of Ball Dissolvable Canning Labels to get me started with home canning. 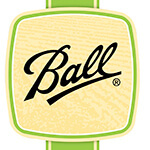 Ball Canning literally carries everything you need from A to Z for home canning. You cannot go wrong with their products. They have been a trusted name in home canning for more than 100 years. The following are my favorite gardening resources. 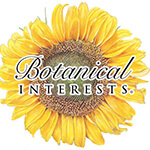 Botanical Interests – This is my favorite seed company. Not only are the seed packets from Botanical Interests colorful and informative, the company offers many organic and heirloom seeds. I prefer organic seeds for all of my vegetable seeds, when possible. I have ordered vegetable and herb seeds from Botanical Interests. I have also purchased ornamentals, annual flowers and even a few perennial flowers. Botanical Interests seeds arrive with clear directions on how to plant them and come packaged with care. 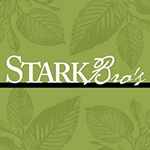 Stark Brothers – I found it challenging to find any dwarf fruit trees locally. This is the company I used to order my dwarf apple and dwarf pear trees. I also ordered a few berry bushes from them. Stark Brothers carries a variety of fruit trees, nut trees (think pecans, walnuts, etc.) berries, bushes and gardening accessories. What’s great about Stark Brothers is that while you typically place your order in the winter or early spring, they will not ship the plants until they can be planted in your particular climate. The following resources are must haves for any runner. 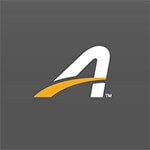 Active.com / Active Membership – When registering for 5K races there are two websites that make sign up easy. One is Active.com. Search races by name, type of event and geographic area. Once you find a race you want to run signing up is easy with only a few clicks and you can even pay using credit card. In addition to their race website, you can also sign up for Active membership, a premium membership service that for a low fee offers you discounts on race fees and other perks. The membership is a great idea if you are avid on the racing scene and want to save some money. Sign up today for only 99-cents! Drymax Socks– Of all the running socks I have tried I do like Drymax socks the best. My Drymax socks are the ones I wear when I run a 10-Miler or Half-Marathon distance. These socks are low-cut so they are fashionable and do not really “stick out” over your running shoes. They have light padding for comfort and they are form fitting and offer support. Most importantly they keep you dry! Avid runners know that when you begin to sweat during a run there is a risk of chafing. Enter Drymax Socks. Nike Tempo Shorts – These are my favorite running shorts. They have built in underwear (another thing I didn’t know about until I started running) which does wonders for keeping you cool and minimizing chafing. Tempo shorts are pretty short but provide full coverage. They are semi-fitted and fashionable. I tend to buy them in black or charcoal so they easily match my colorful workout tops. Nike Tempo Shorts have inner drawstring for a perfect fit and also have a small built in pocket in the waistband which is perfect for a key, etc. Brooks Running Bras – For any run 4 miles or longer, I wear an extra supportive bra. Hands down the best I’ve found is Moving Comfort, which is now owned by Brooks Running. These running bras are expensive but if you buy a few and rotate they will last you a long time. There are many different styles of running bras made by Brooks Running. The one pictured here is the Juno Bra which has velcro adjustable straps which are really nice for a perfect fit or for me when I was nursing my baby the straps allowed ease of nursing between my workouts! 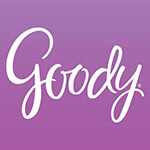 Goody Slide Proof Stayput Headwraps – For years I have been running (and working out, in general) with these headbands. If you want a headband that absorbs sweat as well, check out Bondi Band. What I like about the Goody headbands is they have a little bit of rubbery elastic woven into them. This grips to your head so they do not slip, hence the stayput name. In addition to that they come in nice basic colors such as gray and black which match any workout outfit. Also, I simply wash these headbands with my athletic clothing. Goody headbands are thick enough to not roll off your head but not so thick that they leave a deep mark. The following items are what I use when I practice yoga. 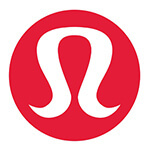 “The Strap” by Lululemon – I was going to recommend “The Strap” carrier from Lululemon, which I purchased for about $12 a few years ago, but it appears they no longer carry it. Here is a similar inexpensive yoga mat strap. I recommend a basic strap for your yoga practice because not only is it lightweight but it’s also functional. The strap holds your mat together with velcro and allows you to easily move from your home to your vehicle to practice. I wash my strap periodically with detergent and it has held up well now for almost six years! Lifefactory Water Bottle – I purchased a glass water bottle about a year ago. It has a handle on top for easy carrying, a protective silicone case, should you drop it and it’s easily washable. Being it’s made of glass, the water never has a plastic or metallic taste, even if you leave it in your car after practice. Not only is this water bottle functional, it’s also well-designed. I really like teal and was pleased to find this bottle comes in the same color! I keep my Lifefactory bottle filled with water. It helps me stay hydrated whether I’m practicing yoga in the studio or on the go with my toddler. Manduka Black Mat PRO Yoga Mat– I switched to the extra cushy Manduka mat for more knee support a few years ago and I love it. You can also read my Manduka Black Mat PRO review to learn more about this mat. 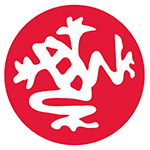 Manduka offers dozens of yoga mats and yoga accessories including blocks and straps. I’ve been using the Manduka Black Mat PRO for years and it has held up amazingly. Manduka yoga mats are truly the gold standard in yoga and your purchase will be worth every penny. My mat is black but you can get yoga mats from Manduka in practically any color!